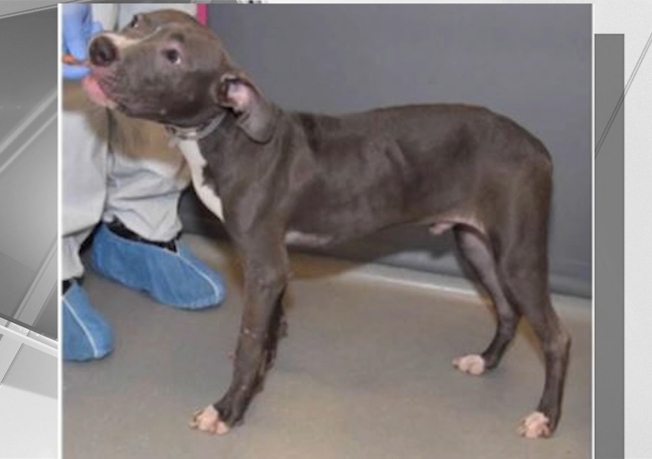 A dog found in New Haven was reportedly so underweight it sparked outrage and brought some animal lovers to tears. Now Frank – as he’s being called – is being nursed back to health at Central Hospital for Veterinary Medicine in North Haven, but it could be a tough road ahead for the German Shepard mix. Glorianne Lagnese, the president of Super Paws Rescue, said neighbors of the dog’s owner first became concerned about the treatment of the animal. “From what I’ve been told by all the neighbors, they haven’t been feeding him. They just throw him scraps and stuff,” Lagnese said. Eventually Lagnese’s group got involved. She said the dog's owner voluntarily gave up the animal and an associate picked him up on Sunday. “He’s horribly emaciated. He can hardly move. Every bone is sticking out. It’s really sad,” Lagnese, said. Frank was taken to Central Hospital for Veterinary Medicine to be given fluids and medical care. Lagnese said, at this point, they don’t even know how old Frank is but they’re sure he was not taken care of properly and was reportedly left outside for several days. As Frank rests at Central Hospital, his future is uncertain, especially after the discovery of a concerning mass, which could be cancerous. “Honestly we don’t know. When, after we get the tests back from my vet, we’ll know more information,” Lagnese, said. Frank is expected to be transferred to another veterinarian today for more tests. NBC Connecticut reached out to New Haven police to see if they’re investigating the case, but we have yet to hear back.